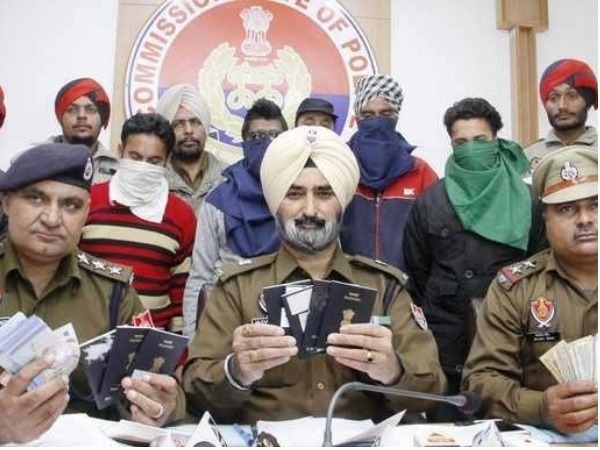 Chandigarh, May 19: Tightening its noose around illegal travel agents in the state, the Punjab Government has issued a directive to all the top civil and police officials and asked to take stern action against them. Notably, the Punjab Government led by CM Amarinder Singh has issued a directive to all the top civil and police officials in the state to crack down on illegal travel agents through a series of measures to ensure strict compliance with the laws and legislation governing the licensing and operations of travel agents. The measures include regular updation and public display of the list all licensed/registered travel agents, as well as their regular physical verification, at least once a year. As part of its drive against such unscrupulous agents, the government has come out with a set of new guidelines and instructions to ensure strict compliance with the various laws and legislation governing the registration and functioning of travel agents in Punjab, which has witnessed several instances of innocent citizens being defrauded by illegal agents. The Advisory on Effective Implementation of Law and Rules for Regulation of Travel Agents in Punjab expresses the state government’s deep concern about the unscrupulous persons/travel agents carrying out illegal activities by giving false promises to the citizens, especially the youth, for getting them settled abroad by charging huge amounts. In the process, the citizens are getting defrauded and sometimes landing in foreign prisons as illegal entrants, it says, adding that most of these persons are fly-by-night operators and are cheating people by committing frauds. Sometimes, even more heinous crimes like kidnappings and confining people in illegal custody have also been reported, says the Advisory. To ensure strict compliance with the rules and regulations governing the registration and conduct procedures of the travel agents, it has been decided that all registered Travel Agents would provide a receipt to the citizens/clients who have been provided a service by them. Such a receipt would, among other details, include receipt number, amount, mode of payment, name and complete address of the registered premises, and the GST number as well. It is also required that all registered travel agents should display their registered license number prominently at their offices. Further, all Deputy Commissioners have been directed to ensure that the district web portal includes the details of all the registered travel agents in the district, as also the details of their license, type of license, validity period and a high-resolution photograph. The website should be updated while issuing new licenses so that the list of travel agents remains up-to-date. A Nodal Officer, who should be from the PCS and whose name shall be notified on the website of the district, should be appointed to coordinate this work, says the Advisory. Whenever any instance of misuse of the license or un-registered travel agents come to notice, legal action against them is required to be taken under the Indian Penal Code and also Section 13(1) of the Act, says the Advisory. The SSP/CP of the concerned district has been mandated to inform the DC in the case of registration of FIR against an unregistered/ unscrupulous or a registered travel agent, and the DC shall get the information uploaded on the district website, and such cases should also be reflected and linked to CCTNS. The DCs and SSPs/CPs have been directed to review the action taken against any travel agents during their monthly review meetings. The progress of an investigation, including the filing of the charge sheet, shall be intimated to the concerned Deputy Commissioner by the SSP/CP. Instances, where gullible people have been defrauded by unscrupulous travel agents, should be fictionalized by changing names and other identifying particulars, and then uploaded on District Websites so that people are made aware of such frauds, the officials have been instructed. The Advisory further directs the officials to regularly apprise all advertising agencies, newspapers, electronic media and other such agencies that before publishing advertisements on behalf of travel agents, they should verify if the agent has a valid registered license, and the registration number should be prominently mentioned in the advertisement. The advertiser should also retain a copy of the registered license, in line with the High Court order of December 12, 2017. The officials have also been asked to launch extensive awareness campaigns, through periodic press notes, among the citizens, especially the students, youth and their parents. Awareness campaigns should be launched in schools, colleges, universities, boards and other educational institutions to make the students aware about the possible frauds which could be committed by the unregistered/unscrupulous or a registered travel agent and the provisions of the Act in this regard. Social media campaigns should also be launched in this regard, says the Advisory. The Home Department has also decided to make it mandatory for any student desirous of pursuing studies abroad through a travel agent to attach a certificate from the agent with his application for clearance certificate from the district police. The DCs and SSPs/CPs have also been asked to create awareness through BDPOs and Panchayat Secretaries that they should avail the services of only the duly registered travel agents who have valid licenses issued under the Punjab Travel Professional Act, 2014 and Rules framed thereunder. No service should be availed from any unregistered travel agent or anybody who is providing services on only the phone, without any physical office and proper licenses. To ensure better coordination among the concerned department, copy of the Advisory has been sent to The Principal Secretary/ Secretary, NRI Affairs; Secretary Employment Generation and Vocational Training; Director General of Police; Commissioner NRI Affairs; all the Divisional Commissioners and all IGs/DIGs of Police Ranges.